Out of stock since Wednesday, 2 December 2015. Due back soon. The Stubbs Western Heavy Saddle Rack is a big and mighty rack which comfortably carries a western saddle with the pad below. Heavy steel construction. Black Stubbyfine coated. Pad stored separately and therefore dries easily. 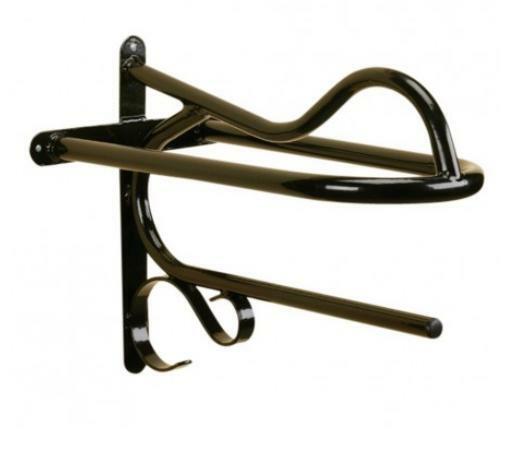 There are currently no questions for Stubbs Western Heavy Saddle Rack - be the first to ask one!